Just in time for the 25th Anniversary Party, the newest Chaos Project episode is up and ready to read! One year before the events of Crisis of Chaos, and roughly one year after the events of Sonic Colors, strange vortexes begin appearing all over, with no obvious explanation. The obvious culprit is none other than Doctor Eggman. But a far greater threat may be at hand. 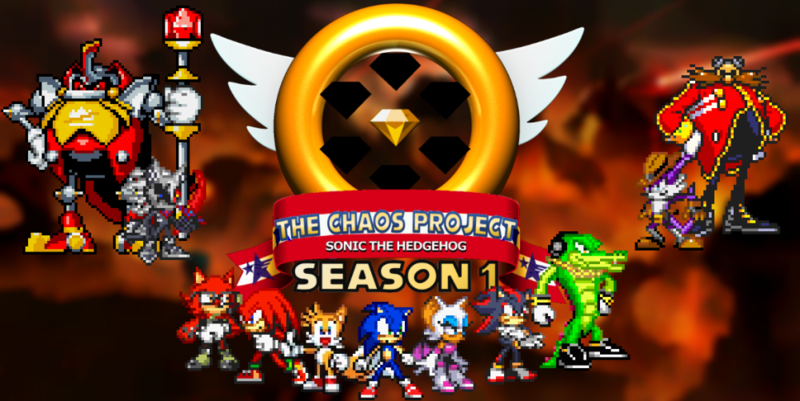 This entry was posted in Episode Update and tagged Crisis of Chaos Arc, Ivo "Eggman" Robotnik, Miles "Tails" Prower, Sonic Colors, Sonic the Hedgehog, Sonic's Anniversary, Speed of Time Arc, Zero the Hedgehog by Chaos Project. Bookmark the permalink.